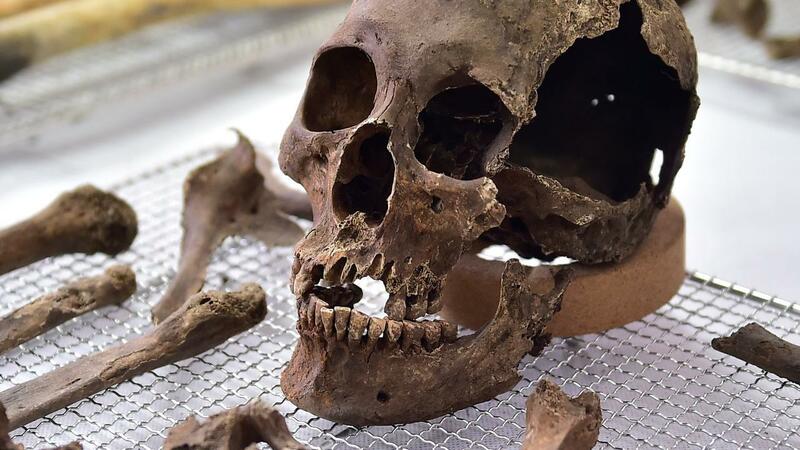 A human skull found at the border of China with Mongolia and Russia is more than ten thousand years old, scientists report on Saturday after carbon dating. Of the four skulls found in the city of Manzhouli, the oldest is 10,113 years old, according to carbon dating. The other three skulls were from people who lived 7,400, 1,600 and 1,000 years ago, reports the Chinese news agency Xinhua . The area where the skulls were found is seen as the cradle of prairie culture in northern China. According to historical documents, there were several tribes in the area at that time. The human remains were found in an open coal mine in the last century, but have only recently been examined for age. Wang Wei, the president of the Chinese archaeological community, says that the hominids from whom the skulls originated must have been reasonably advanced in their skills. "They could use stones for cutting or as an ax, or tie them to bones to make a knife, which would allow animals to be cut open," says Wei, who states that these skills should be among the most advanced in the world at the time. heard.